BLACK REPUBLICAN BLOG: The Trump Effect: Dow Jones Stock Index Hits Record High - 25,000!! The Trump Effect: Dow Jones Stock Index Hits Record High - 25,000!! 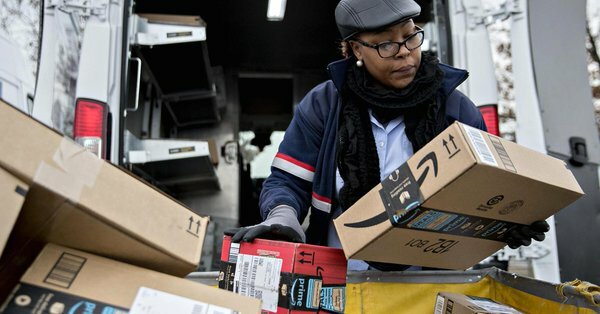 Private sector job creation surged in December as a strong holiday shopping season pushed companies to hire more workers, according to a report Thursday from ADP and Moody's Analytics. Companies hired 250,000 new workers to close out the year, well above Wall Street expectations of 190,000. The month was the best for job creation since March and topped the 185,000 in November, a number that was revised lower by 5,000. The total brought 2017's private payroll growth as gauged by ADP and Moody's to 2.54 million, an average of 212,000 a month.